When you consider going green and embarking on the path to green living, decide if it is possible to return to a basic and simple lifestyle. It is also important to possess the ability to maintain this newly adapted lifestyle for the long term. If you want to go for green living, it is necessary to be effectively informed on the matter. You could study a series of ideas that comprise a more efficient and productive lifestyle. 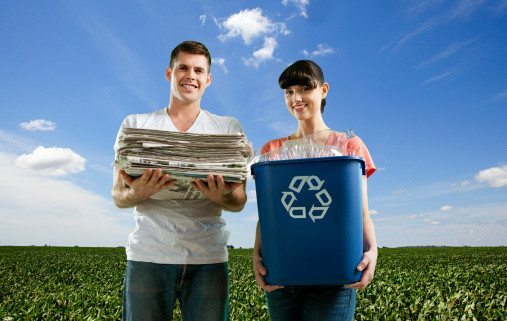 Most people understand the value of an active recycling program at home and work. However, it is also important to know the depths of home recycling. For example, limit the number of products you buy that cannot be recycled. This habit becomes more comprehensive through heightening awareness of recyclable products sold in likewise packaging. This will help you reduce disposables that increase the volume of items that get to be transported to landfills. Enough aluminum every three months to rebuild the US’s entire commercial air fleet. Before making any purchases, determine what a real necessity is. If these purchases are not a necessity, consider the value of those investments for the long term. Short-term value is linked to trends and fads that become obsolete quickly and may increase the level of disposables. There are other alternatives to consider, such as resale when items are in saleable condition or donate the items to charitable organizations. By reducing the number of possessions to what is necessary, you will also learn to purchase less and save more. Living simply is a significant step in the direction of green living. This includes a complete inventory of existing possessions collected over an extended period. By regularly inspecting storage areas indoors and out, there may be a need to rethink value and use of stored items. In most residences and businesses, closets contain items that are reusable. If you want to go for green living, you may want to try an inspection and inventory of issues of ownership and find additional uses once the original purpose is past. Green living also requires effective use of time and expenses of energy. Time management is a major factor that helps reduce pollution because redundancy results in wasted time, effort and fuel. Time management is a matter of allocating a block of time and ensuring the intent and purpose provide optimal value. Planning is accomplished by creating an itinerary of daily activities. For example, allow sufficient travel time along with a well-designed route. Include the particular type of expenditure of energy needed to accomplish preset goals. To maintain good health and a healthy body, create new dietary strategies. This can begin with a container garden indoors or out. Purchase organic soil for gardening use. There are many natural insect repellents to protect garden plants. The ability to grow organic foods enhances green living by allowing individuals to control the soil and water pH and grow food crops that do not contain additives or contaminants. Growing your food may be pretty rewarding since you get to choose what to eat, you know what you planted and how you nurtured the foods and you also reduced expenses. It’s important to take regular inventory of possessions to know when repairs or replacements are needed. It is always less costly to fix than it is to replace because it saves up money and reduces waste. Utility companies regularly suggest turning off lights and small appliances to save energy costs. Lowering the indoor temperature one or two degrees is another energy saving suggestion to consider. Use energy saving devices and furnishings and get to build an environment that is both comfortable and energy-friendly. Try to present your plans and patterns for green living to PTAs, school groups, and the local community. This is one of the most popular ways to share green living ideas and convince other people to adopt them in the long run. Through a unified effort, it is possible to encourage others to live green and down to earth. Most towns have environmental commissions that appreciate ideas for local projects and activities. 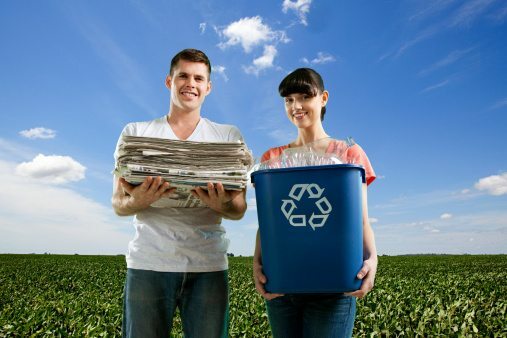 For example, try to propose people in your community to be part of a local scavenger hunt that emphasizes green living.